I read this article and found it very interesting, thought it might be something for you. The article is called “Chocolate and agrobiodiversity” a public lecture with author Simran Sethi and is located at https://www.totallydublin.ie/event/chocolate-and-agrobiodiversity-a-public-lecture-with-author-simran-sethi/. 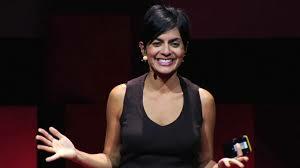 The DIT School of Culinary Arts and Food Technology welcomes Simran Sethi, journalist, author and creator of The Slow Melt, the first podcast on the continuum of chocolate, for a public lecture and chocolate tasting. Sethi will guide the audience in a tasting of bean-to-bar chocolates from Tanzania and Nicaragua, produced in Dublin by the Proper Chocolate Company. Admission is free, but reserving a spot ahead of time is recommended. The event is part of the run-up to the Dublin Gastronomy Symposium 2018, the biennial event providing a forum for those interested in gastronomy research to come together, network and engage in academic discourse regarding “all things food”.